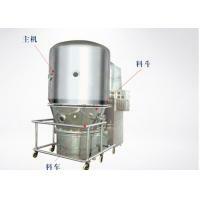 Fluidized fluid bed dryer For Food powder or granule drying, chemical powder drying, medicine powder drying. 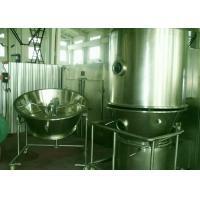 Used for boiling drying of particle material with a size of 0. 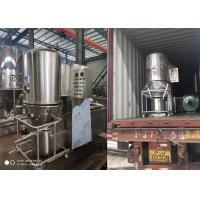 1-6mm, and suitable for speedy drying of finished product, intermediate (semi finished product) in such trades aspharmaceutical, food, light industry and chemical etc. Used the draught of fan, natural air flows through purifying cabinet, heater and froms high speed air flow in the hole of material bed, which makes the material into boiling(fluidized)status, during the large area touch between gas and solid phases, mosture of material is veaporated quickly, and thus reaching the purpose of drying. 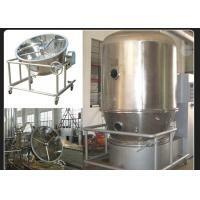 Hopper is sealed with frame by way of O type air cell, featuring convenient handling. 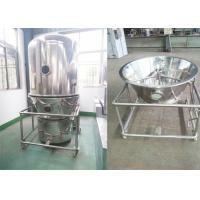 Hopper is equipped with agitator inside, materail is dried uniformly and speedily without boiling dead angle. 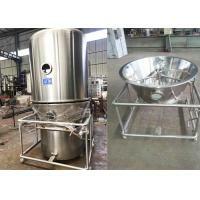 Filter bag and cylinder automatic bag shake unit are supplied on the top to avoid materialloss. With air purifying cabinet, it usesoutdoor air has no influence on air purifying load of purified workshop. 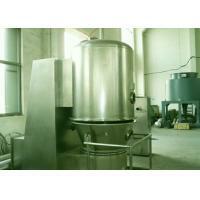 High drying speed, drying time can be freely set up according to features of materials, normally at 10-30min. The temperature during the fluided boiling drying process usually changes in three stages: in the first stage, the temperature of the material to be dried is gradually heated from room temperature to the wet bulb temperature of the hot air; in the second stage, the dried material keeps the hot air wet. The temperature of the ball is constant until the moisture content in the material to be dried is reduced to the critical humidity. At this time, there is no more free water in the material to be dried; then, the temperature rises to the third stage, and the dried material loses the bond between the particles. Moisture. 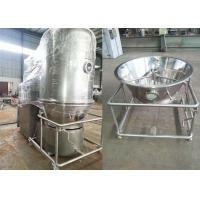 Operating speed: In order for the particulate solid material to operate under a high efficiency boiling dryer, the operating speed must be above the critical fluidization velocity and below the take-up speed. Critical drying speed: When the fluid in the dryer reaches the drying point, that is, the bed pressure loss is equal to the mass of solid particles per unit area of ​​the bed, the drying speed at this time is called the critical drying speed (also known as the initial drying speed). 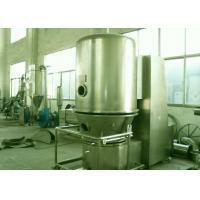 Or the minimum drying speed), which is the lowest speed of the drying operation. Take-out speed: The take-off speed of the material to be dried is numerically equal to the settling speed of the material to be dried. 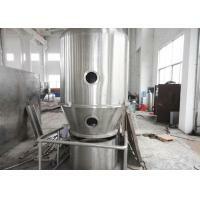 When the gas exceeds this speed, the material will be taken out of the drying chamber. 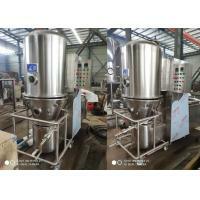 Changzhou Chuangke drying & granulation Equipment Co., Ltd is engaged in dryer, granulator, grinder and mixer machinery research, development and manufacturing. My company's absorption of foreign advanced technology and experience, in strict accordance with the national GMP requirements of the design, development, production, installation and service in one, but in strict accordance with the ISO9001 international quality system standards implementation, to ensure product quality.Constant innovation and transformation in the development of drying equipment, research, design and manufacture of a range of advanced technology and energy-efficient products.And in accordance with needs of the market developed over forty drying, granulation, mixing, dust series products are widely used in pharmaceutical, chemical, food, light industry products, industrial raw materials or dry desiccant, praised by users.Welcome customers with materials testing and inspection. Our company is located in the beautiful city of Changzhou, 150km from Shanghai, with pleasant climate and convenient transportation.Our company has strong technical force, perfect testing systems, precision machining equipment and strict management system.We welcome new and old customers, friends from various circles at home and abroad to visit and join hands to create a better future!